Trio of Kerem Görsev will play on Feb. 20-23 with Alan Harris, one of America's most powerful vocalists. Zorlu Performance Arts Center's newly opened club Touche, which was welcomed with great interest by the culture and arts world, has just announced its lineup for the season. The club will stand out with its wide range of performances from jazz to acoustic concerts to comedy and stand-up shows. With such acts the club is sure to become a new meeting point for art lovers. Reserving Mondays for comedy, Touche will welcome audiences with a unique comedy of relationships on the contrasts and conflicts between men and women with the series "Woman and Man." Actress and comedian Leslie Karavil will offer a night of laughter with her show "Stand-up with Lesli" on Feb. 18. Deniz Alnıtemiz, who continues work as a comedian along with her radio broadcasting career will be performing on Feb. 25 with her solo stand-up show, "Alnıtemiz Stand Up." Touche will host "Çok da Fifi - Hatunlar Stand-Up" ("I don't care - Lady's Stand-Up"), an extraordinary and fun show on March 4, and Denizhan Haznedar's "Kıldan Tüyden Mevzular" ("Lightweight Issues") a solo stand-up show, in which he talks about his experiences, will take place on March 25. Touche is also a candidate to be the favorite address of jazz lovers. 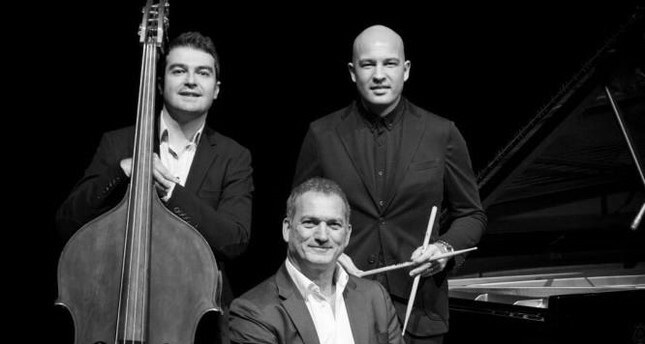 Trio of Kerem Görsev, one of the leading jazz musicians of Turkey will play on Feb. 20-23 with Alan Harris, one of America's most powerful vocalists. On Feb. 27 the venue will host a delightful tango evening "Garanti Caz Yeşili: Piatango" featuring Selmin Artemiz. Esra Zeynep Yücel, a rising name in the jazz world, who will take the stage on March 2. On March 11, Ray Rizzo, known to some from the TV cooking show "Ray's Farm," and a musician, yoga instructor and writer, will be offering a sincere night full of music and poetry, titled "An Evening of Storytelling, Myth, Poetry and Song with Ray Rizzo."